A new book equates the French president’s rise to a revolution. For much of France’s working and middle classes, it has been nothing short of a disaster. 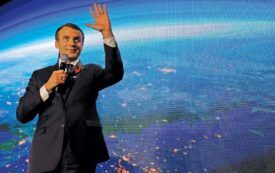 The post The Travails of Emmanuel Macron appeared first on The Nation.